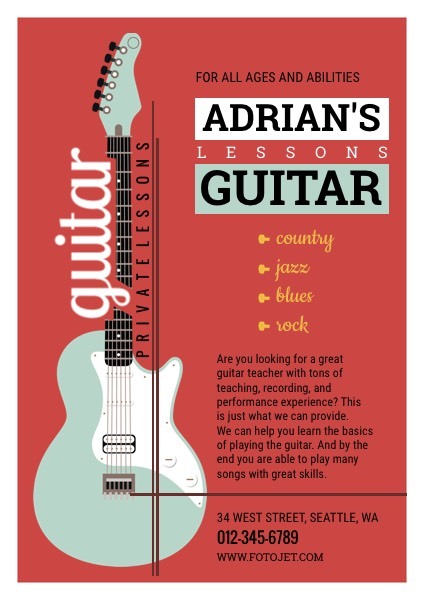 If you have a studio offering guitar lessons, how to make it well-known must be a great struggle. This promotional flyer template will help you out. This design in bright red color will definitely stand out with the arranged guitar image and text. It sets the right part aside for you to add personal details, lesson menu, contact information, and others in different fonts and colors. More embellishments on the flyer design template are also available to meet your marketing needs.